I came across this book for the first time in Saudi Arabia during the hajj season 2006. This book is very special to me as my father bought this book for me. I am very thankful to him, Alhamdulillah. It is a very useful book for sisters who are interested to mould their personality according to the Qur’an and the Sunnah of our beloved prophet Muhammad SAW. It deals with every aspect of a woman’s life such as her relation with her Lord Allah SWT, her own self, relation with her parents, husband, children, in-laws, relatives, neighbours, friends and sisters in Islam, her community and so on. I must say, it is quite a comprehensive book on ideal characteristics of a Muslim woman. It’s almost a 550 page book to read and grasp the wisdom! But it really deserves to be read thoroughly. Every woman should have this book and try to practise the teaching Insha-Allah to their best ability, that’s certainly includes me too. Some extracts from the book: “The blessing of Islam did not stop at raising women from humiliation and backwardness to a level of progress, honour, security and protection. 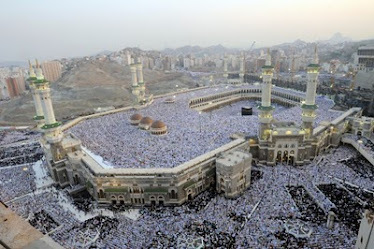 Islam is also concerned with the formation and development of every aspect of her personality, whether it affects her alone or her relationship with her family and society, so that she may become refined and highly developed, worthy of her role as Allah’s vicegerent ( khaleefah) on earth.” “When it comes to Islamic duties, the Muslim woman is just like a man; she has a mission in life, and so she is required to be as effective, active and social as her particular circumstances and capabilities allow, mixing with other woman as much as she can and dealing with them in accordance with the worthy Islamic attitudes and behaviour that distinguish her from other women. 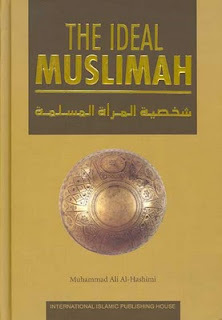 Wherever the Muslim woman is found, she becomes a beacon of guidance and a positive source of correction and education through both her words and her deeds.” Without any doubt I can say, this book is bound to boost your belief in Allah SWT and make you completely satisfied with Allah as your Lord, Islam as your faith and Muhammad SAW as your beloved prophet.